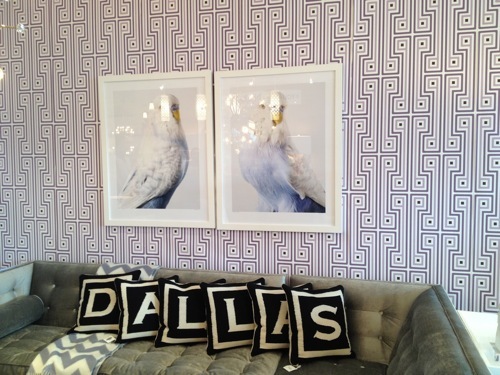 If you're a big fan of Jonathan Adler, and quite frankly anyone with a pulse usually is, you'll be particularly excited with the new Jonathan Adler store at 4525 McKinney in Dallas. There is design genius on display round every corner...and then some. At The Old State, we love his brand because it's so fresh and cool, and yet infinitely timeless as well. You can just tell virtually everything in there is going to be collectible someday. So you have the comfort of knowing you're buying something that you'll enjoy living with, and in the end it might just be worth more than you paid for it! Now that's what I call a deal. OK, I was all excited to see that Jonathan Adler and his partner Simon Doonan displayed their super inspired weekend home on Shelter Island last month in Architectural Digest. On the water, decked out in all things Adler, and super comfortable looking. If you take one look at their outdoor terrace and don't picture yourself at sunset with a drink, then check to make sure you have a heartbeat please. And I was delighted to see that they walk the walk, and actually live with what they put forth on the design side in their stores. So in the end their brand feels really genuine to me, like they really care about what's on the shelf, and make what they want to live with themselves. 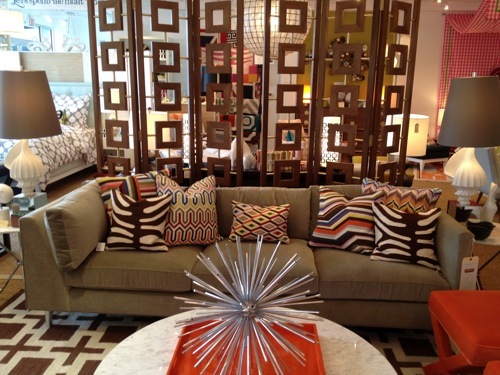 So treat yourself to the Dallas store, it's really special. But make sure to allot a decent amount of time for it, because it's a stunning treasure hunt through all things fine design. And although certainly his signature pottery is on vivid display, so are many MANY other fantastic objects out of his oh-so-brilliant imagination. Now in conclusion, remember that just when you thought every design idea had been-there-done-that, think again. 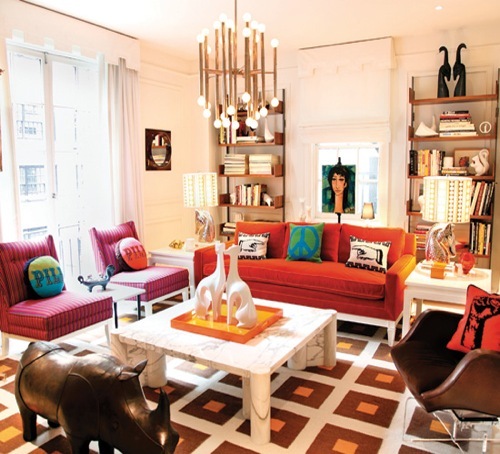 Because although there are many design dynamos throughout the world, Jonathan Adler is conquering the entire design universe. Bravo to Adler and all his team. And welcome to Dallas! The store is at 4525 McKinney, behind the new Apple Store. Their website is www.JonathanAdler.com. And to all my friends who are stumped with what to get me for birthday and holiday? Beeline to Adler on McKinney....please! !